dessert. the bazaar by jose andres. I had the pleasure of dining at The Bazaar twice during this season’s DineLA. Honestly I wasn’t too impressed by much the first time around but I gave it a second go and was glad I came back. My favorite thing of both evenings was my Hot Chocolate Mousse Dessert. Mmm! 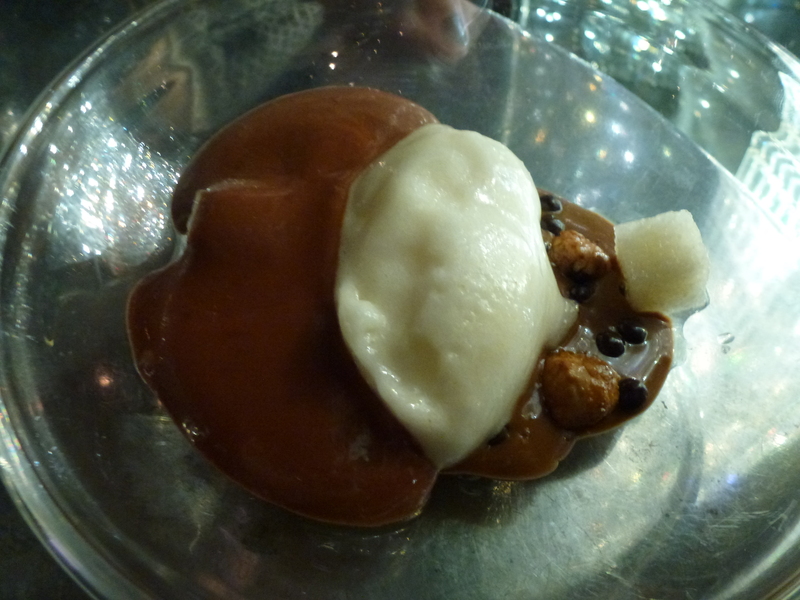 Hazelnuts, some sort of caramel concoction, Pear Sorbet and Pears made this dessert absolutely DIVINE! Sometimes, I think desserts need to be the first course. 🙂 Glad you had a good second visit. Previous Previous post: Amazing iPhone Dock.